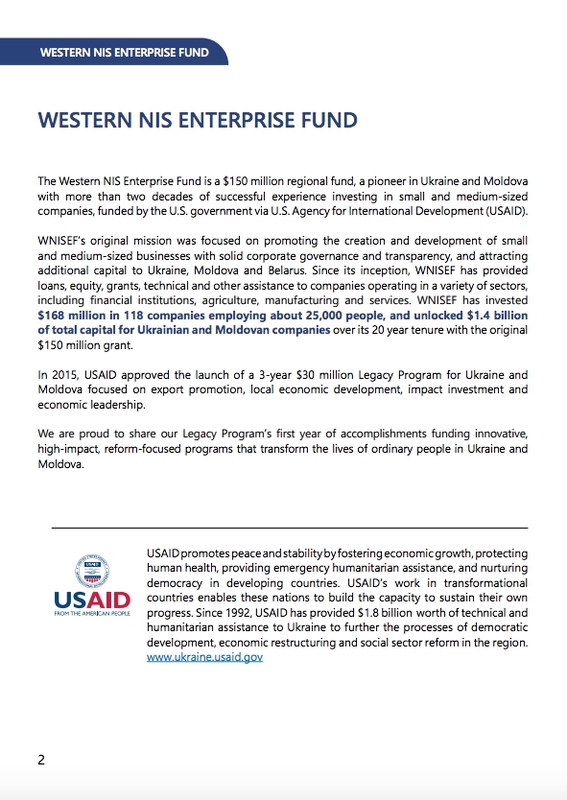 Western NIS Enterprise Fund (WNISEF) is a $150 million regional fund, a pioneer in Ukraine and Moldova with more than two decades of successful experience in investing in small and medium-sized companies. WNISEF was funded by the U.S. government via the U.S. Agency for International Development (USAID). Since its inception, WNISEF’s cumulative investments total over $185 million to 129 companies employing around 27,000 people and made it possible to unlock $1.8 billion for companies in Ukraine and Moldova. WNISEF is governed by an independent Board of Directors comprised of leading representatives of the U.S. business community. 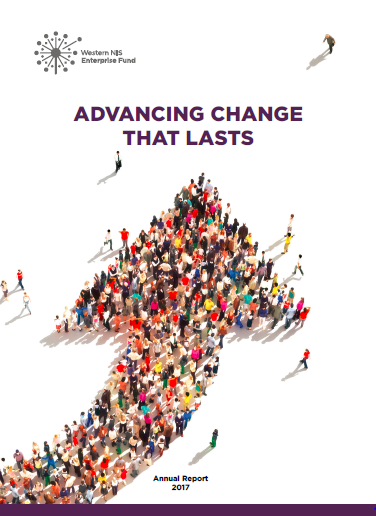 WNISEF was established by the U.S. Congress and funded by the U.S. government via USAID. 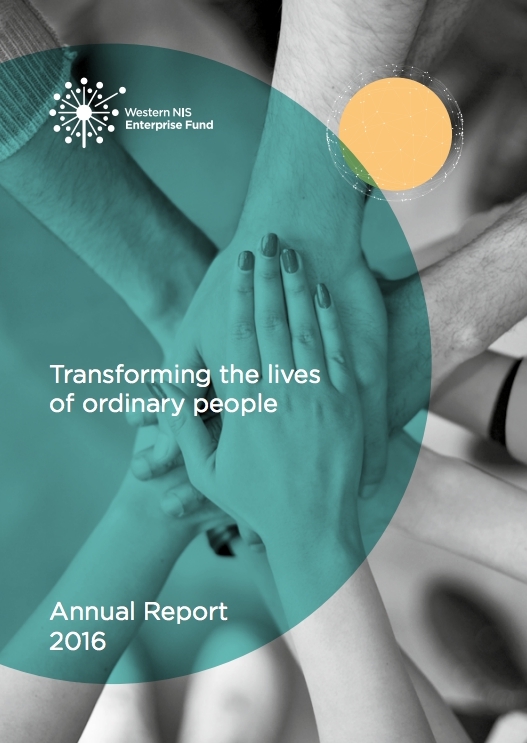 We believe that these funds will be the catalyst that will expedite the transformative process and cement its results for the longer term – until ordinary people feel a tangible impact on their lives and join the ranks of reformers.